Leading Manufacturer from Nashik, our product range includes Dosing Pumps such as Dosing Pump Machine, Hydraulic Actuated Diaphragm Pumps, Multi Head Dosing Pump, Electronic Dosing Pump, Dosing Pump and Electric Dosing Pump. We are one of the manufacturers and suppliers of Hydraulic Actuated Diaphragm Pumps. 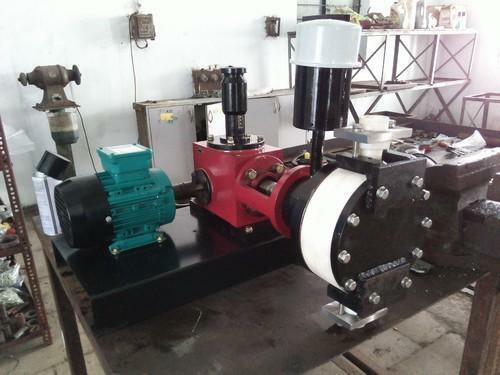 Hydraulic Actuated Diaphragm type Pump is membrane type pump which has good suction lift character. Designed to excellence, these Hydraulic Actuated Diaphragm Pump ensure longer service life along with low operating cost. Flow Rates of 0 to 3000 lph. High Discharge Pressures of 250 kg/cm². Suitable to handle most Corrosive fluids. PTFE coated Diaphragm is supported by a Steel core & temperature resistant material simplex. Steady state accuracy up to + 3 %. Diaphragm is always balanced between the pressure exerted by the hydraulic oil and liquid to be dosed. Manual stroke adjustment by eccentric. Hydraulically Actuated Diaphragm Pump specially designed to ensure free flow performance in high capacity and high pressures situations also. Our pumps are specially designed for corrosive liquids including h2SO4 or slurries. These are leak proof and widely used for highly aggressive or toxic media. We feel proud to introduce ourselves as the leading manufacturer and supplier of Industrial Metering And Dosing Pumps. 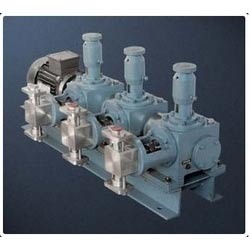 We provide these Pumps in different model as per customer’s requirement. These can be availed in Simplex, Duplex and Multiple Heads for the proper flow of different chemicals. Easily Compatible with most of the fluids. Flow Rate is linear to stroke length variations. It can achieve flow rates up to 4000 lts/hr and delivery pressures up to 275 kg/sq.cm. Plunger is in ss 316 and hard chrome plated. 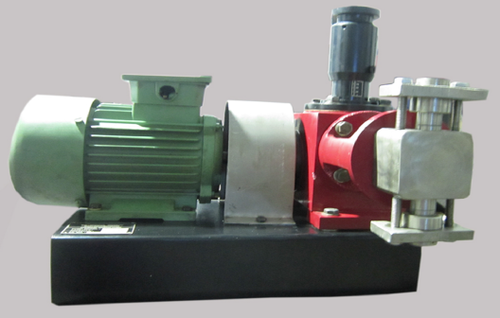 Our highly recognized company is presenting a range of Triple Headed Dosing Pump. We offer these products in various customized specifications to meet the varied demands of our clients. Our offered products are perfectly finished and nicely designed. Moreover, these products after conducting several quality checks at different stages of production in order to deliver the best quality outcomes at the patrons' end. Adjustment Mode: Manual, Electric, Pneumatic, Frequency Conversation. Backed with the years of experience of this domain, we provide clients with the superior quality of Plunger Type Dosing Pumps. Used for water or fluid pumping applications, the offered plunger type dosing pumps are known for their consistent performance, excellent pumping efficiency and thermal stability. 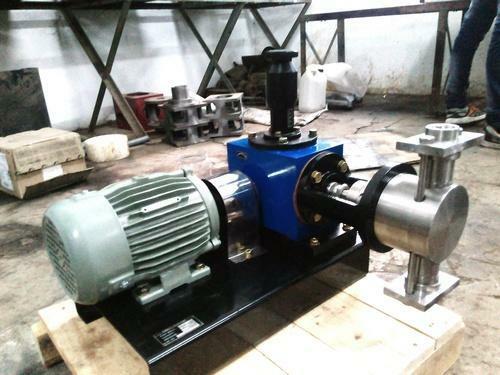 For manufacturing of the plunger type dosing pumps, we make use of latest technology. It can achieve flow rates up to 4000 lts/hr and delivery pressures up to 275kg/sq.cm. As a noteworthy entity of this domain, we present clients with the premium quality of Multi Head Dosing Pump. 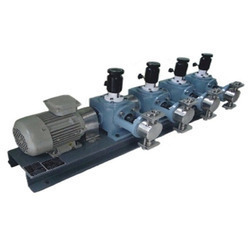 Admired for its high pumping efficiency, compact design and thermal stability, the multi head dosing pump is precisely manufactured by using latest technology. Our customers can avail the multi head dosing pump in various generic specifications.